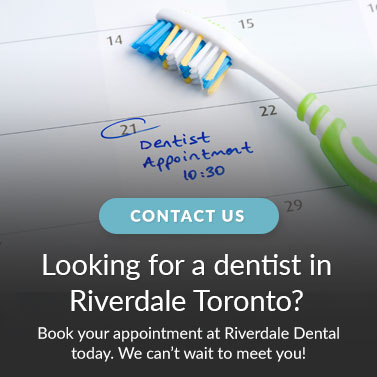 Riverdale Dental in Toronto offers dental crowns for patients that require treatment for damaged and discoloured teeth. A dental crown is a tooth-coloured covering that is permanently placed over an existing tooth that is weakened or decayed. It can be used repair, to add strength, to correct the bite or to improve the overall appearance of a tooth. Dental crowns may be used to create an extremely natural-looking appearance for your front teeth as well. When do you need dental crown treatment?